During my 2003 Christmas vacations I was wandering in the web , trying to find a sense for my squalid life. Suddenly I entered a site about boat building. It was like being struk by lightning! I spent 15 days , 4 hours a day, looking in internet for all the sites about that subject. 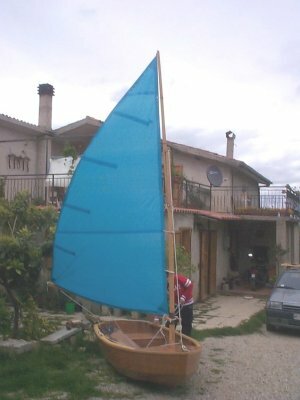 After the end of my holidays I ran to buy the plywood and the adventure started !" Thank to all the guys who freely shared their knowledges and experiences . And a very special thank to my splendid wife who allowed me to make havoc of our living room as you will see in following pages. 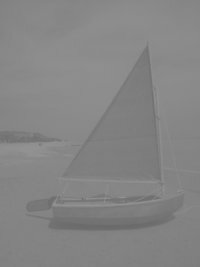 I developed the complete boat drawings as dwg files (for autocad and similar programs. Any mad man who likes to build a "BERNARDA 10'" despite what he saw in this site can contact me by email. For the payment it's enough to send by fax a photocopied 150 euros (or 160 $) banknote.